Having a bluetooth enabled handphone which is used to took a lot of picture but forgot to bring the usb cable everyday. Again as the laptop also got bluetooth.. let’s try to get it working. you may need this package available in the your system first. now need to test if the obexftp is working or not first. 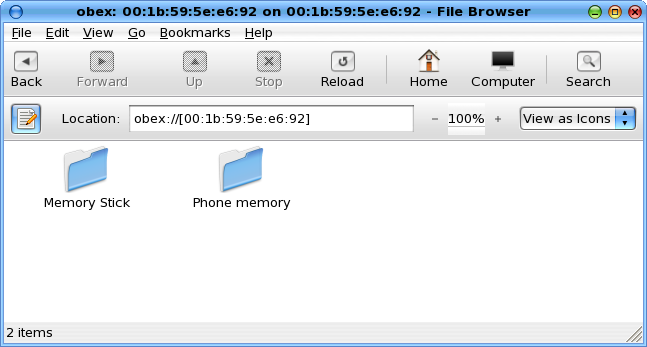 then.. from the address… try listing the folder in the hanphone first. [[email protected] bth]# obexftp -b 00:1B:59:5E:E6:92 -c /"Memory Stick"/"DCIM"/"100MSDCF" -g "DSC13000.jpg"
[[email protected] bth]# obexftp -b 00:1B:59:5E:E6:92 -c /"Memory Stick"/"MISC"/"Application" -p "MidpSSH.jar"
now for the easier use..
this time managed to rebuild the rpm from the rpm source… wonder why is not the DAG repo yet..
now from the file browser i.e nautilus. 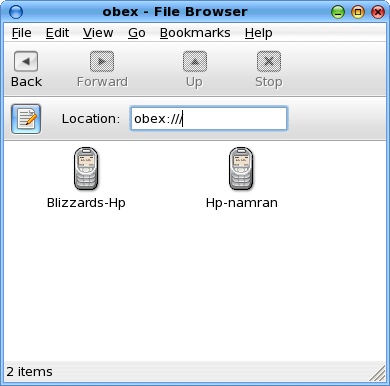 can just type obex:// at the location box. 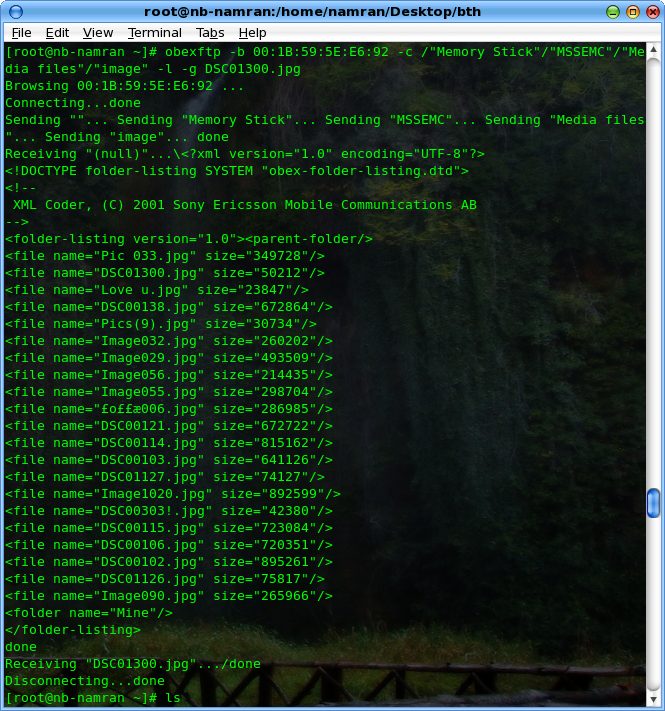 and you can see the list of bluetooth device that had been successfully connect..
then from that just double-click and copy/paste whatever file you as if it is in local folder ..